If you have fond memories of going to summer camp as a kid, you're in luck. It's not only possible as an adult to spend a week reliving those fun days canoeing, fishing, and gathering around a campfire to roast s'mores, but you can even bring the whole family. Spending a week at a summer family camp can make great memories enjoying outdoor fun during the day and collegiality around the campfire at night. You can expect many traditional camp pursuits, like tennis, archery, arts and crafts, lawn games, and nature hikes. The activities available at each camp vary, depending largely on camp location. Camps that are on a lake will invariably offer kayaking, canoeing, fishing, and often motorized fun such as banana boat rides, tubing, and water skiing. Best of all, at most family camps, everything—accommodations, meals, and activities—is included for one low set price. At many camps, the price for a family of four can be as low as $1,000 for a week, including meals and activities. Family camps—sometimes called "intergenerational camps" to distinguish themselves from classic kids' summer camps—typically boast natural settings, simple lodgings, and meals included (typically in a dining hall), along with a slew of outdoor activities and plenty of social time. Sometimes traditional kids' summer camps devote a week or two of "family camp" in July or August. Ask plenty of questions about lodging at family camp, which might be as rustic as a tent-cabins with no electricity or wood cabins with bunks or double beds and shared bath-and-shower houses. Some family camps, however, offers cottages, lodges, or inn-style accommodations. While most camps focus on traditional outdoorsy activities, some offer specialties such as art, music, or other interests. Some camps are faith-based while others are secular. Always ask questions and request a schedule of typical daily activities. Some camps are specifically designed for families with special needs kids. For example, the Common Ground Center in Starksboro, Vermont, offers a camp for families with kids on the autism spectrum. This is a relatively small camp in Washington, Maine, and only accommodates 12 families at a time. Medomak is your classic summer camp, with cabin-style accommodations that include a bathroom and meals served family-style in the camp's farmhouse dining room. The camp covers 250 acres and includes a lake. Club Getaway is in Kent, Connecticut, and there you'll find supervised activities for kids of all ages, along with Zumba, poker, and chilling on the water for adults. You can do age-specific activities and then come together as a family. You can even eat separately, with gourmet meals with wine for adults and kid-centric food for the kids. At Camp Tohkomuepog in East Madison, New Hampshire, you'll find a blend of kids-only activities, family fun stuff to do, and social time for parents. It's a traditional camp that offers archery, softball, riflery, tennis, sailing, games, outdoor adventures, and watersports. You'll stay in screened-in cabins or lodge accommodations, which include private baths. The Frost Valley YMCA camp in Claryville, New York, established in 1901, is one of the oldest summer camps in the United States. It covers 6,000 acres in the Catskills. It offers a week-long family camp in August that includes all the traditional activities. For lodging, you can choose from tents, cabins, lodges, Forstmann Castle (an inn), and the Strauss Center country estate. Rockywold Deephaven Camps in Holderness, New Hampshire, in the lakes region, has been in the business of making summer fun since 1897. You can stay in a small cabin or cottage or a room in the lodge, and all have the requisite rustic charm. The lake affords plenty of opportunities for fishing, swimming, and boating. Or you can play softball or tennis or go on nature walks. Deer Valley in Fort Hill, Pennsylvania, offers weeklong family camps over 10 weeks every summer that include such traditional activities as tennis, volleyball, basketball, rock climbing, swimming, canoeing, and kayaking. You'll eat in a lakeside dining hall, and you have your choice of accommodations in the lodge, in cottages, or in cabins. Sandy Island in Laconia, New Hampshire, is operated by the YMCA of Greater Boston. You can stay in a cabin fronting on Lake Winnipesaukee and spend your days on the water fishing, boating, and swimming. Or just catching rays. You leave your car and take a boat to the island, a total escape from the world. Takodah, a YMCA camp in Richmond, New Hampshire, lets you choose your own pace. You can fill your day with activities like pick-up games and swimming or just chill out and read a book. A favorite activity is a trip to Mount Monadnock. You'll stay in a family cabin and eat together in the dining room. 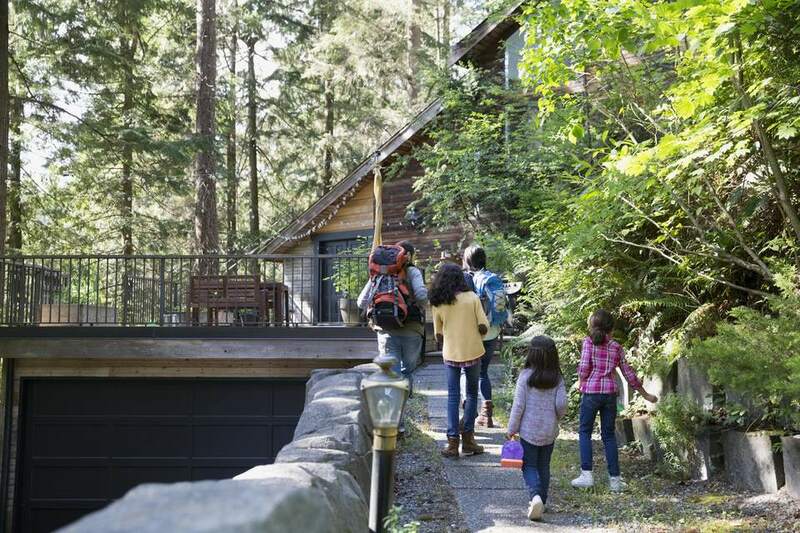 At Camp Jewell, a YMCA camp in Colebrook, Connecticut, as many as 12 can stay in a cabin, so you can have an adventure that includes extended family or friends. You'll spend your days swimming, kayaking, boating, hiking, fishing, climbing, and doing arts and crafts. Camp Sea Gull Seafarer, run by the YMCA in Arapahoe, North Carolina, gives you a full-on coastal experience. It naturally focuses on water activities like fishing, sailing, skiing, and powerboating. But there's also golf, tennis, archery, and zip lining. You'll stay in cabins and get gorgeous sunsets every evening. Camp Greenville is a YMCA camp in Cleveland, South Carolina, in the beautiful Blue Ridge Mountains. This camp focuses on activities in which both parents and kids participate in a full-on family experience. Camp Hanes is a YMCA camp in King, North Carolina, that offers family camping on weekends. It's relatively primitive, and you'll have to bring your own bedding for the cabin you stay in, but it does have electricity and air conditioning. You'll eat family style with other camping families. Trout Lodge and Camp Lakewood in Potosi, Missouri, in the Ozarks, is a YMCA camp. It offers family camping on one weekend during the summer, when you can share all the traditional camping activities as a family, things like archery, climbing, zip line, and trail rides. Camp Pendalouan, on Big Blue Lake in Montague, Michigan, offers a four-day family camping experience every summer. You can go canoeing or swimming, take hikes in the woods, or try your luck on the climbing wall. And of course, you'll love gathering around the campfire as a family in the evenings. You'll stay in a cabin and eat family style in the lodge. Camp du Nord in Ely, Minnesota, is run by the YMCA in the North Woods of Minnesota. This camp offers weeklong family camps every summer, with family activities in the afternoon and evening and age-specific programs in the morning. Cabins vary from the very rustic to those with at least some of the comforts of home. YMCA of the Rockies camp, in spectacular Estes Park, Colorado, offers a myriad of activities, including archery, challenge courses, adventures, hiking, horseback riding, roller skating, and rock climbing. Families come together for movie nights, board games, and campfires. Cheley Colorado Camps, also in Estes Park, Colorado, within sight of Rocky Mountain National Park, offers a family camp experience for five days every August. You'll find all the classic camp activities, plus family night around the campfire, which includes family skits and songs. Santa Barbara Vacation Center on the campus of the University of California at Santa Barbara offers a weeklong summer family camp for its alumni. This is upscale-style camping: Each family stays in an apartment-style suite with all the amenities of home, plus daily housekeeping. Each suite has a view of the mountains or the courtyard, and paths lead to the beach, where you'll find paths for walking, biking, or running. You'll eat buffet style in the dining commons and have access to the campus pool and recreation center and two beaches within walking distance of your lodgings. Tyler Place Family Resort in northwestern Vermont offers extensive children's and adult programming with many quintessential camp activities. Families stay in private cottages, suites, and apartment-like units. Excellent meals and a wide range of activities are included in the rate. Note that this is a far more upscale experience than more typical family camps.